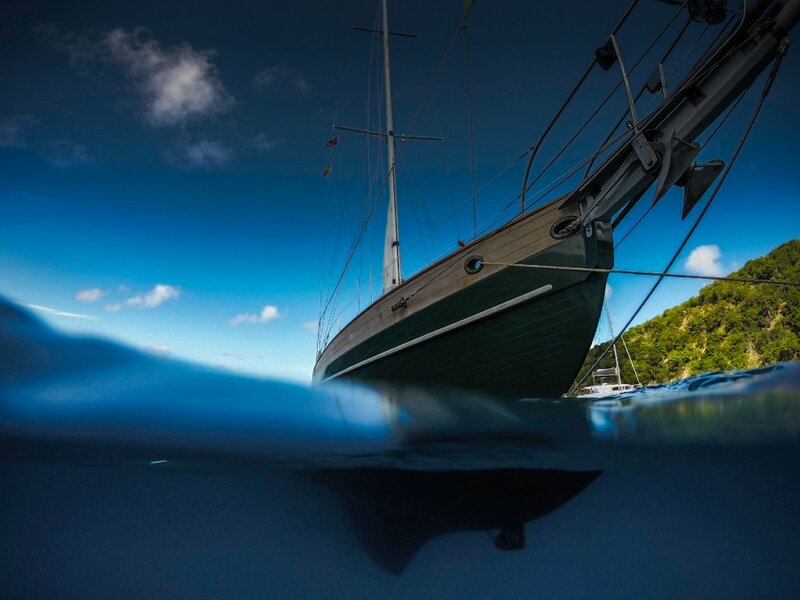 Posts with tag: "BVI, GoPro, British Virgin Islands"
The charter yacht Bravura photographed on the mooring ball at Little Dog Island in the British Virgin Islands. A GoPro was used semi-submerged to capture the boat above and below the waterline, which reveals the keel and the bow thruster. Most of the difficulty in making this pictures is the small size of the lens. Estimating the proper heighth in the water is difficult in a slow swell with the key area less than an inch in radius. Next time I will shoot in burst mode which shoots thirty times a second as the swell is rolling on the camera position.